I love this card! So simple, almost one layer and very lovely all at the same time. I CASEd this card, but unfortunately, I did not note the designer's name :-( My apologies! Timeless Textures stamp set provides my flat "texture." I used the Watermelon Wonder ink on Watermelon Wonder card stock, then accented with some Tip Top Taupe blotches, etc. to match the ink color on the sentiment. Thank you so much for looking! I hope you will take a little time to comment. I love reading those comments! 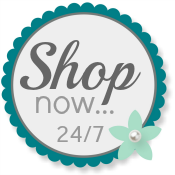 Use my Online Store any time you need your very own Stampin' Up! products. I'd love to be your demonstrator. USE MY LINK TO JOIN MY TEAM!